The ban on mobile application TikTok was lifted by the Madurai bench of the Madras High Court on Wednesday, subject to certain conditions. A Pakistani national, Waqar Ahmed of Pakistani Punjab was arrested in Pattan area of Baramulla district a few days back. He was operating in Srinagar city for two years and was trying to resurrect militancy in Baramulla district, police said. 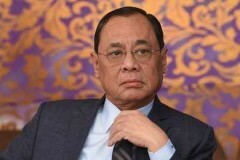 The Supreme Court bench also clarified that there is no connection in the hearing of lawyer Utsav Bains' claims of a larger conspiracy and the in-house inquiry ordered into the sexual harassment allegations against CJI Ranjan Gogoi. In a candid conversation with Bollywood actor Akshay Kumar, Prime Minister Narendra Modi said he follows him and his wife Twinkle Khanna on social media, and also made light of Khanna's criticism of his policies. Samajwadi Party Chief, Akhilesh Yadav asked if the alliance of three parties (SP-BSP-RLD) is 'maha-milawat' (as described by Prime Minister Modi), then what should the alliance of 38 parties be called. 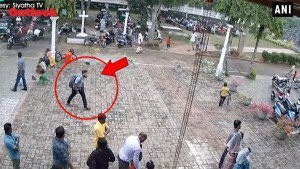 CCTV footage showed a man carrying a rucksack entering the St Sebastian's Church in Negombo, Sri Lanka, on Easter Sunday, and another footage of a rucksack-carrying bearded man in the Shangri-La Hotel lift, before they triggered the blasts, killing scores of people. Sunday's coordinated serial blasts across Sri Lanka killed 359 people and injured 500. The hour-long interaction between the prime minister and the 'Khiladi' star, broadcast on Wednesday, was on a non-political theme, delving into the life of Narendra Modi as the Prime Minister. As minister Smriti Irani distributes shoes in some villages in Amethi, Congress' Priyanka Gandhi Vadra calls it an insult to people, saying they are not beggars. The Congress leader told voters that they should not allow a person, who speaks "lies and does not work for you", to move ahead. 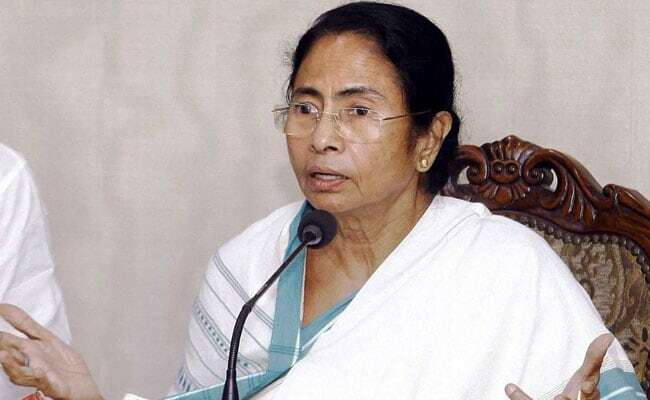 EC officials, who watched the film, opined that there is high probability that a particular political party will gain electoral mileage if the film is permitted to be released during the ongoing polls. Utsav Bains, a lawyer who claimed there was a conspiracy to frame the CJI, submitted proof to the Supreme Court in a sealed cover today.